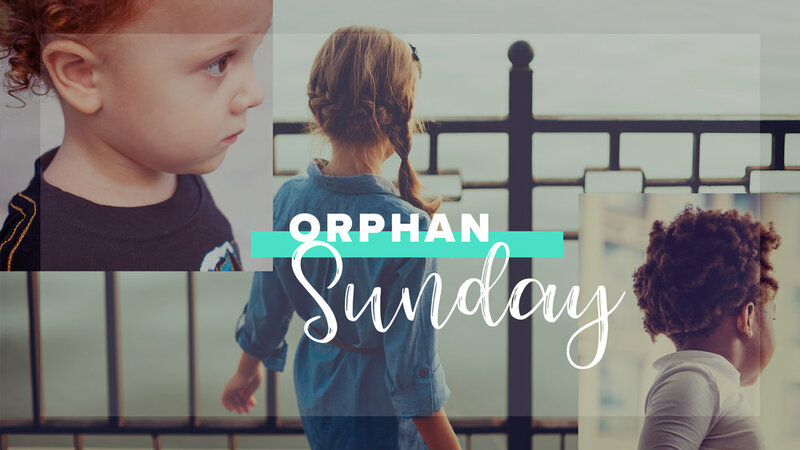 On November 11th, the Church will be recognizing Orphan Sunday. It is a day that churches all around the world take time to pray for vulnerable children. Here at Summit, we spend time each year on Orphan Sunday acknowledging the plight of the orphan and praying for children who are marginalized and in dire situations. We do this both in the weekend services and in a Sunday evening worship service. We, as the church, have the privilege of being entrusted with the call to care. Not only does this call allow us as believers to step out and grow in faith, but it also puts the gospel on display for a world that is desperate to see true hope and love. Because of the extravagant way that the Lord has loved us, we are compelled to care and we are sustained as we respond. • There are 111,820 children in foster care waiting to be adopted. • The average age of a child waiting to be adopted is 7 years, 6 months. • Every year more than 20,000 children age out of foster care, without families. • There are 24,390 children in foster care. • About 791 of these children are available for adoption. • There are 569 children in foster care just in Lee and Collier counties. • Because of the lack of court appointed volunteers who represent the best interest of the child (Guardian ad Litems), only 63% of the children in the system in SWFL have this very necessary aspect of care. These many needs provide the Church with an amazing opportunity to step into difficult and hopeless situations and bring the light of Christ. At Summit, we partner with some great ministries that are actively engaged in helping to relieve the suffering of vulnerable children. Several of our partners will be with us at each of the weekend services, as well at the evening Every Child Initiative Worship service. They will be sharing about opportunities to get involved and answering questions. We hope to see you there.